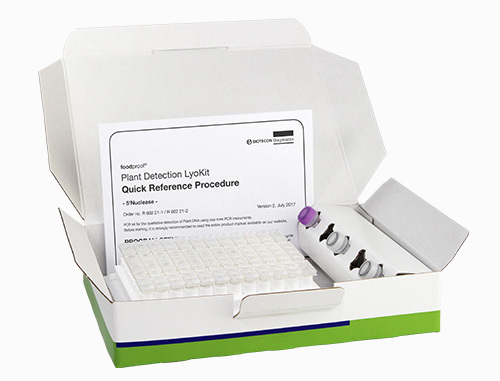 The foodproof Plant Detection LyoKit is intended for the rapid detection of plant DNA from raw material, processed food, feed and seed samples. In combination with the foodproof GMO Screening LyoKits, the assay is important as a process control to eliminate risk of false-negative results because of degraded DNA. The assay complies with ISO 21569 and the German Food Law § 64 LFGB for the detection of genetically modified DNA sequences.